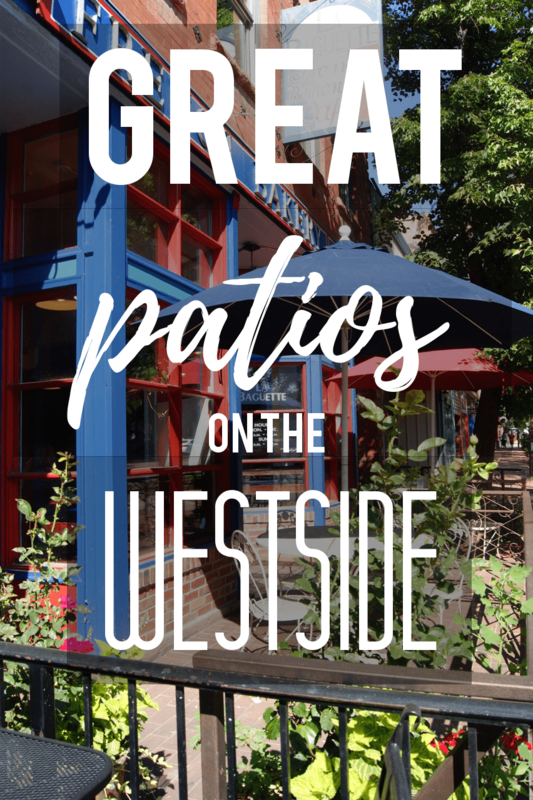 Experience Great Westside Patios – Enjoy Your Food! 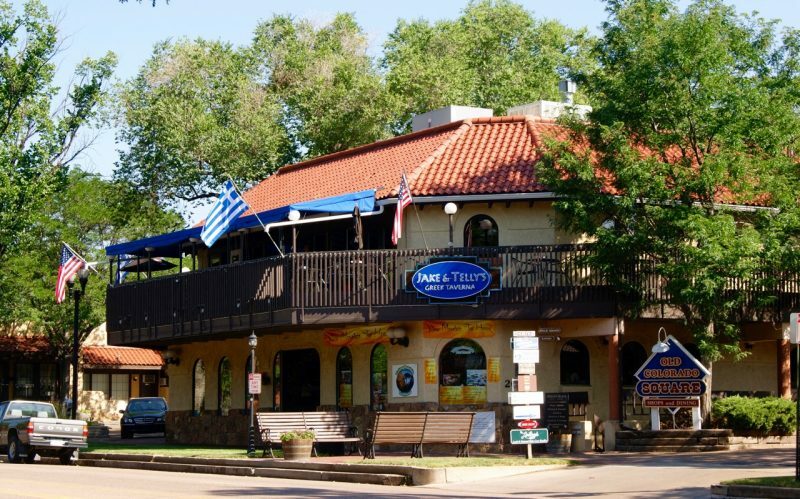 Savor a scrumptious leg of lamb and greek wine while overlooking the streets of Old Colorado City. 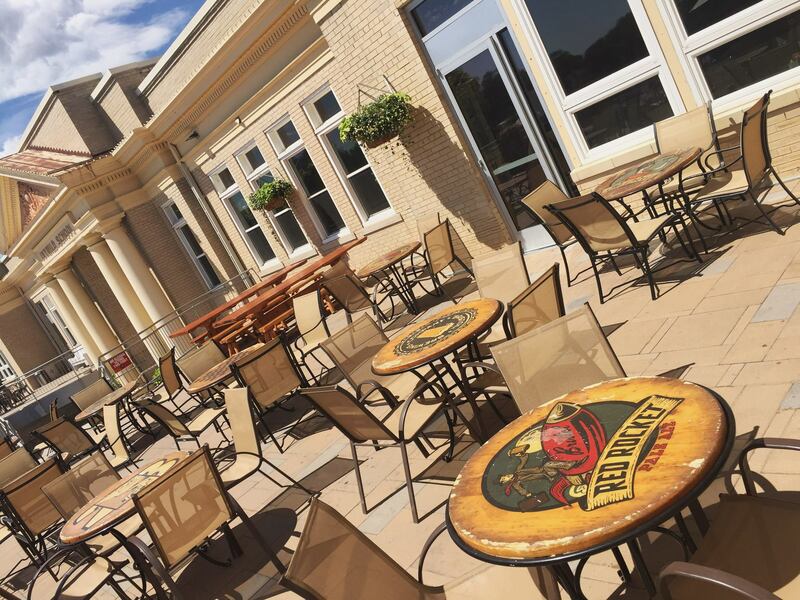 Enjoy this patio during lunch or dinner. Open until 9 pm. After a hike through Garden of the Gods, bring your dog and enjoy a brew while taking in the views. Make plans to enjoy their live music. I highly recommend the tortellini or the french onion soup! The best part about living in Colorado Springs is the weather. In comparison, it really is not too hot or too cold which makes it perfect patio weather. 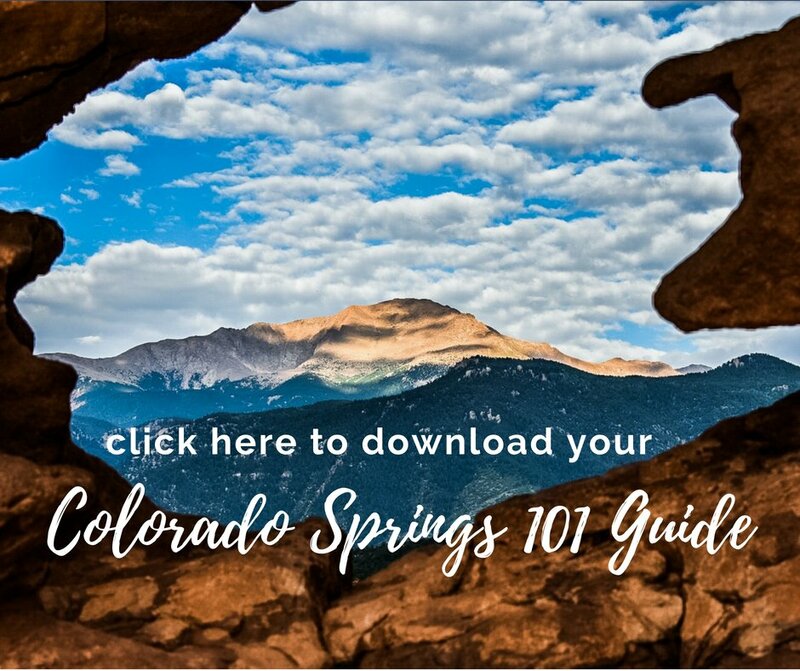 Your home and the local restaurants/cafes need to capitalize on the best attributes of Colorado – the view and the weather! With that in mind, I set out to find some great places to enjoy a meal or a drink with friends or with a book that provide a lovely patio atmosphere.  Luckily there are so many in our area that you would have to try to miss one. Everywhere you turn there is a wonderful patio to take full advantage of the Colorado Springs life. For today, I narrowed my focus to the Westside of Colorado Springs. Stroll down Old Colorado City’s Colorado Avenue and you’ll see many opportunities to sit outside. For me, as a European, it’s bliss. If you have lived in the Springs for enough time you should be familiar with Marigold, but how many of us tend to forget it is there? Some of the best salads in town, warm bread, and fresh dishes. A lovely little patio facing the Peak for sipping a white wine and munching on a Salad Nicoise. My mouth is watering now. Located at 4605 Centennial Blvd (intersection of Garden of the Gods & Centennial). Marigold is open for lunch and dinner and can accommodate private parties. Overlooking the historic buildings of Old Colorado City is a second-story wrap-around patio at Jake & Telly’s. They’ve been around for years and are a local favorite. Open from 11 am – 9 pm, enjoy their Greek fare while watching the shoppers bustle in and out of the nearby boutiques. Just a 5-minute drive from I-25 and Garden Of The Gods intersection is TRiNiTY Brewing. 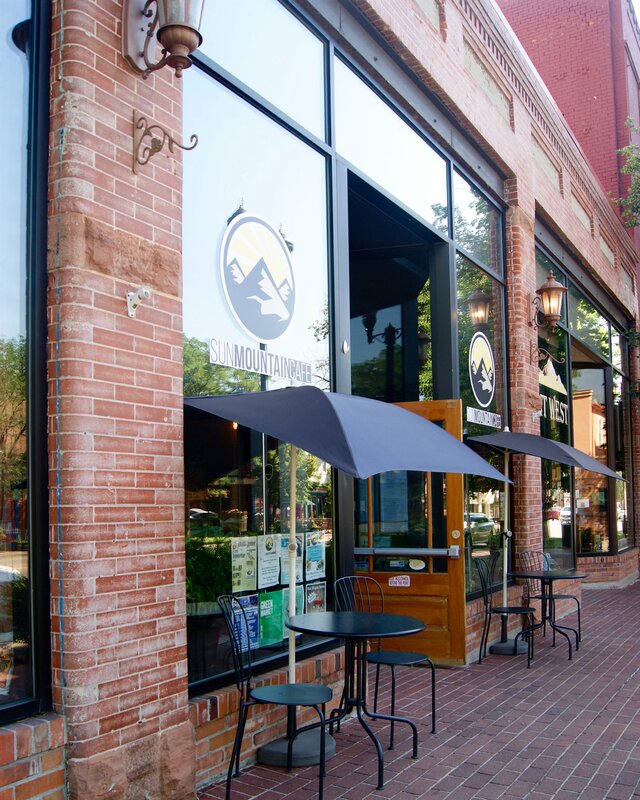 Enjoy local beer and mouth-watering bites on their Pikes Peak-facing patio. Beautiful wood barrels serve as the tables, and a BIG bonus?…. 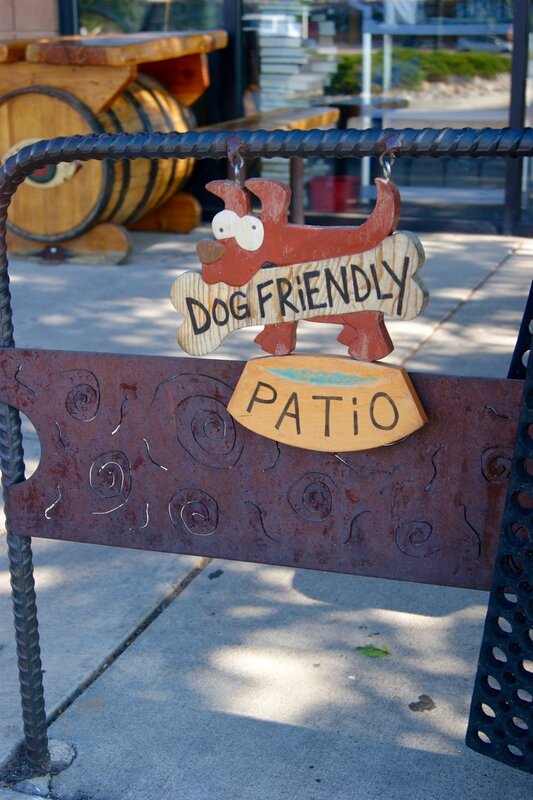 their patio is DOG-FRIENDLY! 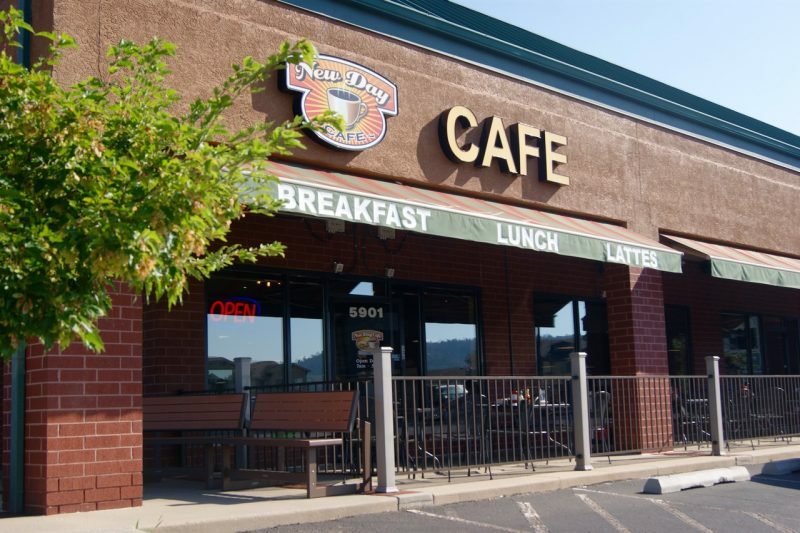 BON TON’S CAFE: Find it at 26th and Colorado Ave. A favorite breakfast spot for locals. You can plan on usually waiting for a patio table, but it is well worth it. MOUNTAIN SHADOWS RESTAURANT: You would drive right by if you didn’t know it was there. Big outdoor patio, the restaurant occupies an old home built in the 1800s. Giant cinnamon rolls, yummy biscuits…they were even featured on Diners, Drive-ins, and Dives! 503W: An Asian Fusion Gastropub nearly under the I-25 overpass on Colorado Ave. Open concept kitchen, outdoor seating, and locally owned. Open from 11 am – 12 am. WESTERN OMELET: Ok. Most of us have driven right by this place not giving it a second thought. However, you might notice the parking lot is always full for breakfast. Hidden behind this unassuming building is a fabulous patio where you can enjoy their blow-your-socks-off homemade green chili. Their breakfast is wonderful. 16 S. Walnut Street. COLORADO MOUNTAIN BREWERY: Talk about an awesome patio! A giant fireplace is the centerpiece of this cozy patio, and the food is terrific (I recommend the Bison Meatloaf Wellington). Find it on Hwy 24 and 21st street. PIZZERIA RUSTICA: A fun outdoor patio nestled off the streets of Old Colorado City. A great place to enjoy wood-fired pizza. Also, check out the Tapateria next door! Colorado Avenue and 26th in Old Colorado City. LA BAGUETTE: A long-time favorite of Westsiders. Be prepared to wait in line during the lunch-hour all year-round. The patio out front is perfect for people watching and sipping their homemade French Onion Soup and freshly made baguettes. 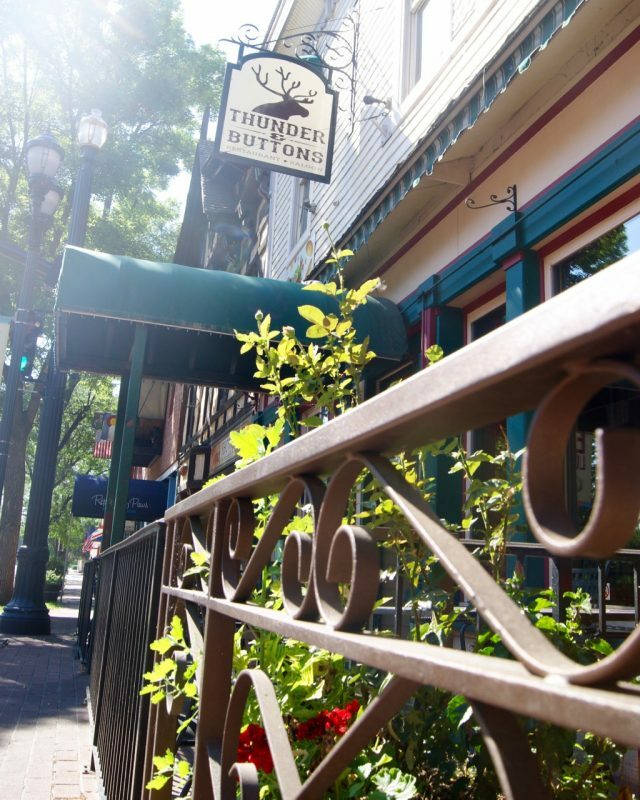 THUNDER & BUTTONS II: A restaurant with a history! It’s usually full at night in their upstairs room, but don’t forget to try out their lunches on the patio across the street from Bancroft Park. The Elk Chili is a favorite. Thunder & Buttons is next door to La Baguette in Old Colorado City and often overlooked, but it is a hidden treat. 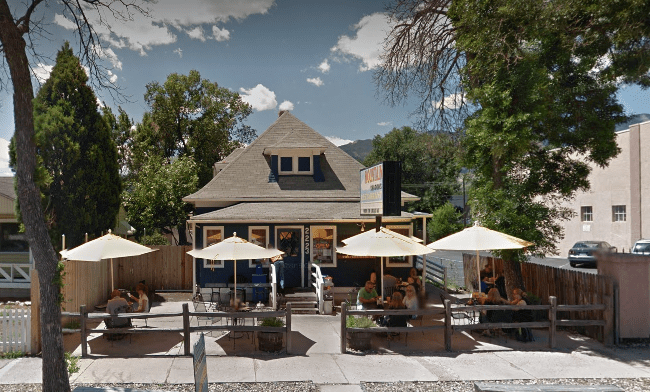 BRISTOL BREWING COMPANY: For all you folks who love Ivywild…what a great patio to hang out and have a beer and enjoy a Colorado sunset! Located just off Tejon at 1604 S Cascade. 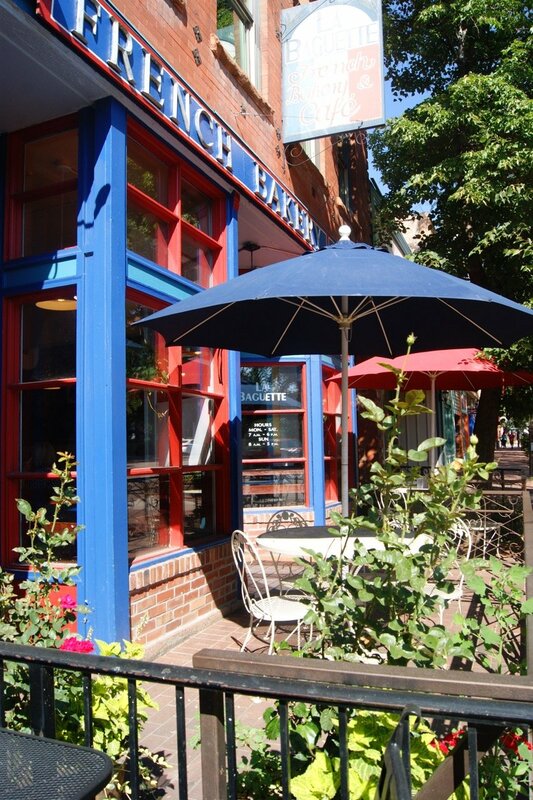 Have you enjoyed the patio at any of these cafes or restaurants? 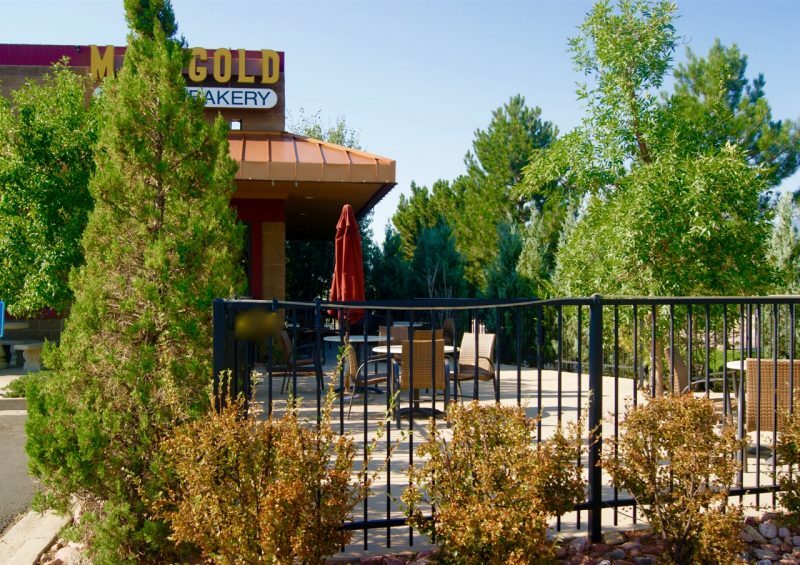 Where is your favorite place to enjoy the views and perfect weather of Colorado Springs while you dine? We’d love to hear from you! 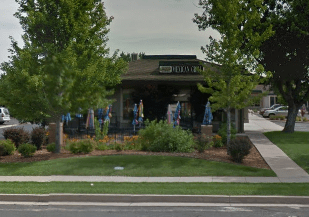 Carlos Miguels Restaurant: There are several locations in town, but since we are speaking of the Westside, there is the CM on Cheyenne Mtn. Blvd. and sitting outside is quite lovely. Great for a quick lunch or dinner.